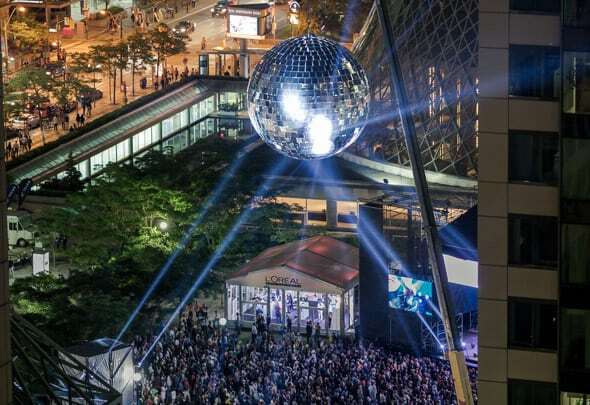 Every June the Luminato Festival takes place in Toronto to celebrate creativity. 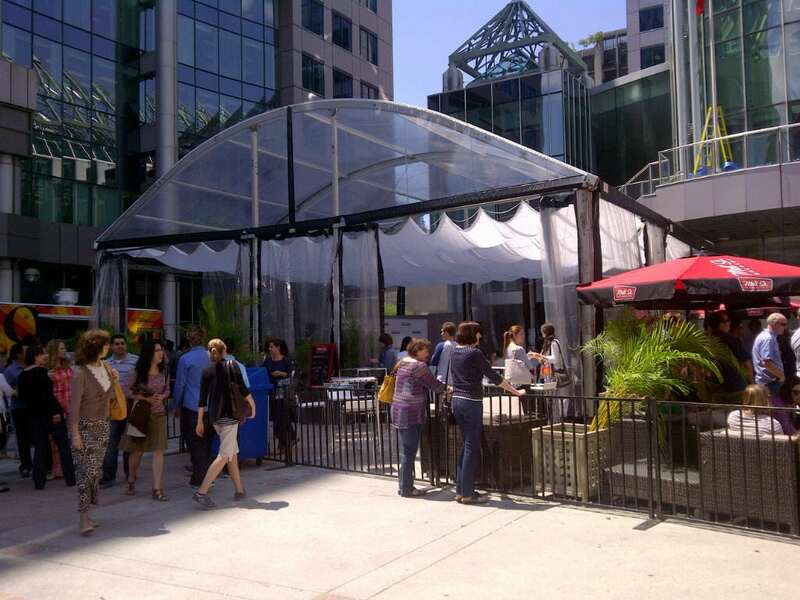 The festival takes over all the major event venues in the downtown core and Regal provides all the tents at the main hub of the festival at Metro Hall. Other than the standard small frame tents used for production purposes, Regal provided a “Food Truck” tent that houses entertainment for the festival. This tent was customized with a curved clear roof and white billowy sun shades that can be opened during the day for shade and put away at night. 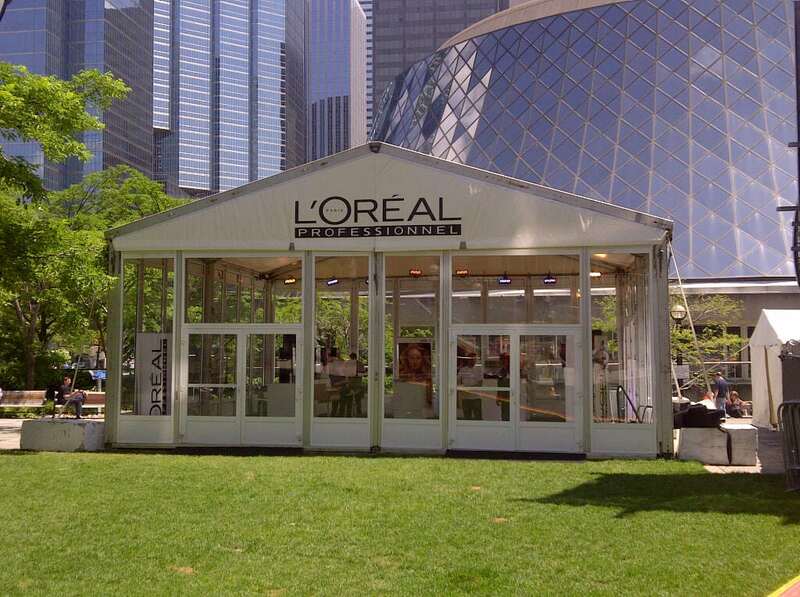 The main sponsor of the event, L’Oreal, used a 30’x 30′ glass encased tent to house their make-up studio for attendees.